SHAKIR: (All) praise is due to Allah, Who revealed the Book to His servant and did not make in it any crookedness. SHAKIR: And warn those who say: Allah has taken a son. YUSUFALI: No knowledge have they of such a thing, nor had their fathers. It is a grievous thing that issues from their mouths as a saying what they say is nothing but falsehood! PICKTHAL: (A thing) whereof they have no knowledge, nor (had) their fathers, Dreadful is the word that cometh out of their mouths. They speak naught but a lie. SHAKIR: They have no knowledge of it, nor had their fathers; a grievous word it is that comes out of their mouths; they speak nothing but a lie. YUSUFALI: Thou wouldst only, perchance, fret thyself to death, following after them, in grief, if they believe not in this Message. PICKTHAL: Yet it may be, if they believe not in this statement, that thou (Muhammad) wilt torment thy soul with grief over their footsteps. SHAKIR: Then maybe you will kill yourself with grief, sorrowing after them, if they do not believe in this announcement. YUSUFALI: That which is on earth we have made but as a glittering show for the earth, in order that We may test them - as to which of them are best in conduct. PICKTHAL: Lo! We have placed all that is on the earth as an ornament thereof that We may try them: which of them is best in conduct. SHAKIR: Surely We have made whatever is on the earth an embellishment for it, so that We may try them (as to) which of them is best in works. YUSUFALI: Verily what is on earth we shall make but as dust and dry soil (without growth or herbage). PICKTHAL: And lo! We shall make all that is thereon a barren mound. SHAKIR: And most surely We will make what is on it bare ground without herbage. YUSUFALI: Or dost thou reflect that the Companions of the Cave and of the Inscription were wonders among Our Sign? PICKTHAL: Or deemest thou that the People of the Cave and the Inscription are a wonder among Our portents? SHAKIR: Or, do you think that the Fellows of the Cave and the Inscription were of Our wonderful signs? YUSUFALI: Behold, the youths betook themselves to the Cave: they said, "Our Lord! bestow on us Mercy from Thyself, and dispose of our affair for us in the right way!" PICKTHAL: When the young men fled for refuge to the Cave and said: Our Lord! Give us mercy from Thy presence, and shape for us right conduct in our plight. SHAKIR: When the youths sought refuge in the cave, they said: Our Lord! grant us mercy from Thee, and provide for us a right course in our affair. PICKTHAL: Then We sealed up their hearing in the Cave for a number of years. SHAKIR: So We prevented them from hearing in the cave for a number of years. YUSUFALI: Then We roused them, in order to test which of the two parties was best at calculating the term of years they had tarried! PICKTHAL: And afterward We raised them up that We might know which of the two parties would best calculate the time that they had tarried. SHAKIR: Then We raised them up that We might know which of the two parties was best able to compute the time for which they remained. PICKTHAL: We narrate unto thee their story with truth. Lo! they were young men who believed in their Lord, and We increased them in guidance. SHAKIR: We relate to you their story with the truth; surely they were youths who believed in their Lord and We increased them in guidance. YUSUFALI: We gave strength to their hearts: Behold, they stood up and said: "Our Lord is the Lord of the heavens and of the earth: never shall we call upon any god other than Him: if we did, we should indeed have uttered an enormity! PICKTHAL: And We made firm their hearts when they stood forth and said: Our Lord is the Lord of the heavens and the earth. We cry unto no Allah beside Him, for then should we utter an enormity. SHAKIR: And We strengthened their hearts with patience, when they stood up and said: Our Lord is the Lord of the heavens and the earth; we will by no means call upon any god besides Him, for then indeed we should have said an extravagant thing. YUSUFALI: "These our people have taken for worship gods other than Him: why do they not bring forward an authority clear (and convincing) for what they do? Who doth more wrong than such as invent a falsehood against Allah? PICKTHAL: These, our people, have chosen (other) gods beside Him though they bring no clear warrant (vouchsafed) to them. And who doth greater wrong than he who inventeth a lie concerning Allah? SHAKIR: These our people have taken gods besides Him; why do they not produce any clear authority in their support? Who is then more unjust than he who forges a lie against Allah? YUSUFALI: "When ye turn away from them and the things they worship other than Allah, betake yourselves to the Cave: Your Lord will shower His mercies on you and disposes of your affair towards comfort and ease." PICKTHAL: And when ye withdraw from them and that which they worship except Allah, then seek refuge in the Cave; your Lord will spread for you of His mercy and will prepare for you a pillow in your plight. SHAKIR: And when you forsake them and what they worship save Allah, betake yourselves for refuge to the cave; your Lord will extend to you largely of His mercy and provide for you a profitable course in your affair. YUSUFALI: Thou wouldst have seen the sun, when it rose, declining to the right from their Cave, and when it set, turning away from them to the left, while they lay in the open space in the midst of the Cave. Such are among the Signs of Allah: He whom Allah, guides is rightly guided; but he whom Allah leaves to stray,- for him wilt thou find no protector to lead him to the Right Way. PICKTHAL: And thou mightest have seen the sun when it rose move away from their cave to the right, and when it set go past them on the left, and they were in the cleft thereof. That was (one) of the portents of Allah. He whom Allah guideth, he indeed is led aright, and he whom He sendeth astray, for him thou wilt not find a guiding friend. SHAKIR: And you might see the sun when it rose, decline from their cave towards the right hand, and when it set, leave them behind on the left while they were in a wide space thereof. This is of the signs of Allah; whomsoever Allah guides, he is the rightly guided one, and whomsoever He causes to err, you shall not find for him any friend to lead (him) aright. YUSUFALI: Thou wouldst have deemed them awake, whilst they were asleep, and We turned them on their right and on their left sides: their dog stretching forth his two fore-legs on the threshold: if thou hadst come up on to them, thou wouldst have certainly turned back from them in flight, and wouldst certainly have been filled with terror of them. PICKTHAL: And thou wouldst have deemed them waking though they were asleep, and We caused them to turn over to the right and the left, and their dog stretching out his paws on the threshold. If thou hadst observed them closely thou hadst assuredly turned away from them in flight, and hadst been filled with awe of them. SHAKIR: And you might think them awake while they were asleep and We turned them about to the right and to the left, while their dog (lay) outstretching its paws at the entrance; if you looked at them you would certainly turn back from them in flight, and you would certainly be filled with awe because of them. YUSUFALI: Such (being their state), we raised them up (from sleep), that they might question each other. Said one of them, "How long have ye stayed (here)?" They said, "We have stayed (perhaps) a day, or part of a day." (At length) they (all) said, "Allah (alone) knows best how long ye have stayed here.... Now send ye then one of you with this money of yours to the town: let him find out which is the best food (to be had) and bring some to you, that (ye may) satisfy your hunger therewith: And let him behave with care and courtesy, and let him not inform any one about you. PICKTHAL: And in like manner We awakened them that they might question one another. A speaker from among them said: How long have ye tarried? They said: We have tarried a day or some part of a day, (Others) said: Your Lord best knoweth what ye have tarried. Now send one of you with this your silver coin unto the city, and let him see what food is purest there and bring you a supply thereof. Let him be courteous and let no man know of you. YUSUFALI: "For if they should come upon you, they would stone you or force you to return to their cult, and in that case ye would never attain prosperity." PICKTHAL: For they, if they should come to know of you, will stone you or turn you back to their religion; then ye will never prosper. SHAKIR: For surely if they prevail against you they would stone you to death or force you back to their religion, and then you will never succeed. YUSUFALI: Thus did We make their case known to the people, that they might know that the promise of Allah is true, and that there can be no doubt about the Hour of Judgment. Behold, they dispute among themselves as to their affair. (Some) said, "Construct a building over them": Their Lord knows best about them: those who prevailed over their affair said, "Let us surely build a place of worship over them." PICKTHAL: And in like manner We disclosed them (to the people of the city) that they might know that the promise of Allah is true, and that, as for the Hour, there is no doubt concerning it. When (the people of the city) disputed of their case among themselves, they said: Build over them a building; their Lord knoweth best concerning them. Those who won their point said: We verily shall build a place of worship over them. SHAKIR: And thus did We make (men) to get knowledge of them that they might know that Allah's promise is true and that as for the hour there is no doubt about it. When they disputed among themselves about their affair and said: Erect an edifice over them-- their Lord best knows them. Those who prevailed in their affair said: We will certainly raise a masjid over them. YUSUFALI: (Some) say they were three, the dog being the fourth among them; (others) say they were five, the dog being the sixth,- doubtfully guessing at the unknown; (yet others) say they were seven, the dog being the eighth. Say thou: "My Lord knoweth best their number; It is but few that know their (real case)." Enter not, therefore, into controversies concerning them, except on a matter that is clear, nor consult any of them about (the affair of) the Sleepers. PICKTHAL: (Some) will say: They were three, their dog the fourth, and (some) say: Five, their dog the sixth, guessing at random; and (some) say: Seven, and their dog the eighth. Say (O Muhammad): My Lord is Best Aware of their number. None knoweth them save a few. So contend not concerning them except with an outward contending, and ask not any of them to pronounce concerning them. SHAKIR: (Some) say: (They are) three, the fourth of them being their dog; and (others) say: Five, the sixth of them being their dog, making conjectures at what is unknown; and (others yet) say: Seven, and the eighth of them is their dog. Say: My Lord best knows their number, none knows them but a few; therefore contend not in the matter of them but with an outward contention, and do not question concerning them any of them. YUSUFALI: Without adding, "So please Allah!" and call thy Lord to mind when thou forgettest, and say, "I hope that my Lord will guide me ever closer (even) than this to the right road." PICKTHAL: Except if Allah will. And remember thy Lord when thou forgettest, and say: It may be that my Lord guideth me unto a nearer way of truth than this. SHAKIR: Unless Allah pleases; and remember your Lord when you forget and say: Maybe my Lord will guide me to a nearer course to the right than this. PICKTHAL: And (it is said) they tarried in their Cave three hundred years and add nine. SHAKIR: And they remained in their cave three hundred years and (some) add (another) nine. YUSUFALI: Say: "Allah knows best how long they stayed: with Him is (the knowledge of) the secrets of the heavens and the earth: how clearly He sees, how finely He hears (everything)! They have no protector other than Him; nor does He share His Command with any person whatsoever. PICKTHAL: Say: Allah is Best Aware how long they tarried. His is the Invisible of the heavens and the earth. How clear of sight is He and keen of hearing! They have no protecting friend beside Him, and He maketh none to share in His government. SHAKIR: Say: Allah knows best how long they remained; to Him are (known) the unseen things of the heavens and the earth; how clear His sight and how clear His hearing! There is none to be a guardian for them besides Him, and He does not make any one His associate in His Judgment. YUSUFALI: And recite (and teach) what has been revealed to thee of the Book of thy Lord: none can change His Words, and none wilt thou find as a refuge other than Him. PICKTHAL: And recite that which hath been revealed unto thee of the Scripture of thy Lord. There is none who can change His words, and thou wilt find no refuge beside Him. SHAKIR: And recite what has been revealed to you of the Book of your Lord, there is none who can alter His words; and you shall not find any refuge besides Him. YUSUFALI: And keep thy soul content with those who call on their Lord morning and evening, seeking His Face; and let not thine eyes pass beyond them, seeking the pomp and glitter of this Life; no obey any whose heart We have permitted to neglect the remembrance of Us, one who follows his own desires, whose case has gone beyond all bounds. PICKTHAL: Restrain thyself along with those who cry unto their Lord at morn and evening, seeking His Countenance; and let not thine eyes overlook them, desiring the pomp of the life of the world; and obey not him whose heart We have made heedless of Our remembrance, who followeth his own lust and whose case hath been abandoned. SHAKIR: And withhold yourself with those who call on their Lord morning and evening desiring His goodwill, and let not your eyes pass from them, desiring the beauties of this world's life; and do not follow him whose heart We have made unmindful to Our remembrance, and he follows his low desires and his case is one in which due bounds are exceeded. YUSUFALI: Say, "The truth is from your Lord": Let him who will believe, and let him who will, reject (it): for the wrong-doers We have prepared a Fire whose (smoke and flames), like the walls and roof of a tent, will hem them in: if they implore relief they will be granted water like melted brass, that will scald their faces, how dreadful the drink! How uncomfortable a couch to recline on! PICKTHAL: Say: (It is) the truth from the Lord of you (all). Then whosoever will, let him believe, and whosoever will, let him disbelieve. Lo! We have prepared for disbelievers Fire. Its tent encloseth them. If they ask for showers, they will be showered with water like to molten lead which burneth the faces. Calamitous the drink and ill the resting-place! SHAKIR: And say: The truth is from your Lord, so let him who please believe, and let him who please disbelieve; surely We have prepared for the iniquitous a fire, the curtains of which shall encompass them about; and if they cry for water, they shall be given water like molten brass which will scald their faces; evil the drink and ill the resting-place. YUSUFALI: As to those who believe and work righteousness, verily We shall not suffer to perish the reward of any who do a (single) righteous deed. PICKTHAL: Lo! as for those who believe and do good works - Lo! We suffer not the reward of one whose work is goodly to be lost. SHAKIR: Surely (as for) those who believe and do good, We do not waste the reward of him who does a good work. YUSUFALI: For them will be Gardens of Eternity; beneath them rivers will flow; they will be adorned therein with bracelets of gold, and they will wear green garments of fine silk and heavy brocade: They will recline therein on raised thrones. How good the recompense! How beautiful a couch to recline on! PICKTHAL: As for such, theirs will be Gardens of Eden, wherein rivers flow beneath them; therein they will be given armlets of gold and will wear green robes of finest silk and gold embroidery, reclining upon throne therein. Blest the reward, and fair the resting-place! SHAKIR: These it is for whom are gardens of perpetuity beneath which rivers flow, ornaments shall be given to them therein of bracelets of gold, and they shall wear green robes of fine silk and thick silk brocade interwoven with gold, reclining therein on raised couches; excellent the recompense and goodly the resting place. YUSUFALI: Set forth to them the parable of two men: for one of them We provided two gardens of grape-vines and surrounded them with date palms; in between the two We placed corn-fields. PICKTHAL: Coin for them a similitude: Two men, unto one of whom We had assigned two gardens of grapes, and We had surrounded both with date-palms and had put between them tillage. SHAKIR: And set forth to them a parable of two men; for one of them We made two gardens of grape vines, and We surrounded them both with palms, and in the midst of them We made cornfields. YUSUFALI: Each of those gardens brought forth its produce, and failed not in the least therein: in the midst of them We caused a river to flow. PICKTHAL: Each of the gardens gave its fruit and withheld naught thereof. And We caused a river to gush forth therein. YUSUFALI: (Abundant) was the produce this man had : he said to his companion, in the course of a mutual argument: "more wealth have I than you, and more honour and power in (my following of) men." PICKTHAL: And he had fruit. And he said unto his comrade, when he spake with him: I am more than thee in wealth, and stronger in respect of men. SHAKIR: And he possessed much wealth; so he said to his companion, while he disputed with him: I have greater wealth than you, and am mightier in followers. PICKTHAL: And he went into his garden, while he (thus) wronged himself. He said: I think not that all this will ever perish. YUSUFALI: "Nor do I deem that the Hour (of Judgment) will (ever) come: Even if I am brought back to my Lord, I shall surely find (there) something better in exchange." PICKTHAL: I think not that the Hour will ever come, and if indeed I am brought back unto my Lord I surely shall find better than this as a resort. SHAKIR: And I do not think the hour will come, and even if I am returned to my Lord I will most certainly find a returning place better than this. YUSUFALI: His companion said to him, in the course of the argument with him: "Dost thou deny Him Who created thee out of dust, then out of a sperm-drop, then fashioned thee into a man? PICKTHAL: His comrade, when he (thus) spake with him, exclaimed: Disbelievest thou in Him Who created thee of dust, then of a drop (of seed), and then fashioned thee a man? SHAKIR: His companion said to him while disputing with him: Do you disbelieve in Him Who created you from dust, then from a small seed, then He made you a perfect man? YUSUFALI: "But (I think) for my part that He is Allah, My Lord, and none shall I associate with my Lord. PICKTHAL: But He is Allah, my Lord, and I ascribe unto my Lord no partner. SHAKIR: But as for me, He, Allah, is my Lord, and I do not associate anyone with my Lord. YUSUFALI: "Or the water of the garden will run off underground so that thou wilt never be able to find it." PICKTHAL: Or some morning the water thereof will be lost in the earth so that thou canst not make search for it. SHAKIR: Or its waters should sink down into the ground so that you are unable to find it. YUSUFALI: So his fruits (and enjoyment) were encompassed (with ruin), and he remained twisting and turning his hands over what he had spent on his property, which had (now) tumbled to pieces to its very foundations, and he could only say, "Woe is me! Would I had never ascribed partners to my Lord and Cherisher!" PICKTHAL: And his fruit was beset (with destruction). Then began he to wring his hands for all that he had spent upon it, when (now) it was all ruined on its trellises, and to say: Would that I had ascribed no partner to my Lord! SHAKIR: And his wealth was destroyed; so he began to wring his hands for what he had spent on it, while it lay, having fallen down upon its roofs, and he said: Ah me! would that I had not associated anyone with my Lord. YUSUFALI: Nor had he numbers to help him against Allah, nor was he able to deliver himself. PICKTHAL: And he had no troop of men to help him as against Allah, nor could he save himself. SHAKIR: And he had no host to help him besides Allah nor could he defend himself. YUSUFALI: There, the (only) protection comes from Allah, the True One. He is the Best to reward, and the Best to give success. PICKTHAL: In this case is protection only from Allah, the True, He is Best for reward, and best for consequence. SHAKIR: Here is protection only Allah's, the True One; He is best in (the giving of) reward and best in requiting. YUSUFALI: Set forth to them the similitude of the life of this world: It is like the rain which we send down from the skies: the earth's vegetation absorbs it, but soon it becomes dry stubble, which the winds do scatter: it is (only) Allah who prevails over all things. PICKTHAL: And coin for them the similitude of the life of the world as water which We send down from the sky, and the vegetation of the earth mingleth with it and then becometh dry twigs that the winds scatter. Allah is able to do all things. SHAKIR: And set forth to them parable of the life of this world: like water which We send down from the cloud so the herbage of the earth becomes tangled on account of it, then it becomes dry broken into pieces which the winds scatter; and Allah is the holder of power over all things. YUSUFALI: Wealth and sons are allurements of the life of this world: But the things that endure, good deeds, are best in the sight of thy Lord, as rewards, and best as (the foundation for) hopes. PICKTHAL: Wealth and children are an ornament of the life of the world. But the good deeds which endure are better in thy Lord's sight for reward, and better in respect of hope. SHAKIR: Wealth and children are an adornment of the life of this world; and the ever-abiding, the good works, are better with your Lord in reward and better in expectation. YUSUFALI: One Day We shall remove the mountains, and thou wilt see the earth as a level stretch, and We shall gather them, all together, nor shall We leave out any one of them. PICKTHAL: And (bethink you of) the Day when we remove the hills and ye see the earth emerging, and We gather them together so as to leave not one of them behind. SHAKIR: And the day on which We will cause the mountains to pass away and you will see the earth a levelled plain and We will gather them and leave not any one of them behind. PICKTHAL: And they are set before thy Lord in ranks (and it is said unto them): Now verily have ye come unto Us as We created you at the first. But ye thought that We had set no tryst for you. SHAKIR: And they shall be brought before your Lord, standing in ranks: Now certainly you have come to Us as We created you at first. Nay, you thought that We had not appointed to you a time of the fulfillment of the promise. YUSUFALI: And the Book (of Deeds) will be placed (before you); and thou wilt see the sinful in great terror because of what is (recorded) therein; they will say, "Ah! woe to us! what a Book is this! It leaves out nothing small or great, but takes account thereof!" They will find all that they did, placed before them: And not one will thy Lord treat with injustice. PICKTHAL: And the Book is placed, and thou seest the guilty fearful of that which is therein, and they say: What kind of a Book is this that leaveth not a small thing nor a great thing but hath counted it! And they find all that they did confronting them, and thy Lord wrongeth no-one. 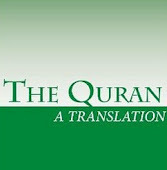 SHAKIR: And the Book shall be placed, then you will see the guilty fearing from what is in it, and they will say: Ah! woe to us! what a book is this! it does not omit a small one nor a great one, but numbers them (all); and what they had done they shall find present (there); and your Lord does not deal unjustly with anyone. YUSUFALI: Behold! We said to the angels, "Bow down to Adam": They bowed down except Iblis. He was one of the Jinns, and he broke the Command of his Lord. Will ye then take him and his progeny as protectors rather than Me? And they are enemies to you! Evil would be the exchange for the wrong-doers! PICKTHAL: And (remember) when We said unto the angels: Fall prostrate before Adam, and they fell prostrate, all save Iblis. He was of the jinn, so he rebelled against his Lord's command. Will ye choose him and his seed for your protecting friends instead of Me, when they are an enemy unto you? Calamitous is the exchange for evil-doers. YUSUFALI: I called them not to witness the creation of the heavens and the earth, nor (even) their own creation: nor is it for helpers such as Me to take as lead (men) astray! PICKTHAL: I made them not to witness the creation of the heavens and the earth, nor their own creation; nor choose I misleaders for (My) helpers. SHAKIR: I did not make them witnesses of the creation of the heavens and the earth, nor of the creation of their own souls; nor could I take those who lead (others) astray for aiders. YUSUFALI: One Day He will say, "Call on those whom ye thought to be My partners," and they will call on them, but they will not listen to them; and We shall make for them a place of common perdition. PICKTHAL: And (be mindful of) the Day when He will say: Call those partners of Mine whom ye pretended. Then they will cry unto them, but they will not hear their prayer, and We shall set a gulf of doom between them. SHAKIR: And on the day when He shall say: Call on those whom you considered to be My associates. So they shall call on them, but they shall not answer them, and We will cause a separation between them. YUSUFALI: And the Sinful shall see the fire and apprehend that they have to fall therein: no means will they find to turn away therefrom. PICKTHAL: And the guilty behold the Fire and know that they are about to fall therein, and they find no way of escape thence. SHAKIR: And the guilty shall see the fire, then they shall know that they are going to fall into it, and they shall not find a place to which to turn away from it. YUSUFALI: We have explained in detail in this Qur'an, for the benefit of mankind, every kind of similitude: but man is, in most things, contentious. PICKTHAL: And verily We have displayed for mankind in this Qur'an all manner of similitudes, but man is more than anything contentious. SHAKIR: And certainly We have explained in this Quran every kind of example, and man is most of all given to contention. YUSUFALI: And what is there to keep back men from believing, now that Guidance has come to them, nor from praying for forgiveness from their Lord, but that (they ask that) the ways of the ancients be repeated with them, or the Wrath be brought to them face to face? PICKTHAL: And naught hindereth mankind from believing when the guidance cometh unto them, and from asking forgiveness of their Lord unless (it be that they wish) that the judgment of the men of old should come upon them or (that) they should be confronted with the Doom. SHAKIR: And nothing prevents men from believing when the guidance comes to them, and from asking forgiveness of their Lord, except that what happened to the ancients should overtake them, or that the chastisement should come face to face with them. YUSUFALI: We only send the messengers to give Glad Tidings and to give warnings: But the unbelievers dispute with vain argument, in order therewith to weaken the truth, and they treat My Signs as a jest, as also the fact that they are warned! PICKTHAL: We send not the messengers save as bearers of good news and warners. Those who disbelieve contend with falsehood in order to refute the Truth thereby. And they take Our revelations and that wherewith they are threatened as a jest. SHAKIR: And We do not send messengers but as givers of good news and warning, and those who disbelieve make a false contention that they may render null thereby the truth, and they take My communications and that with which they are warned for a mockery. YUSUFALI: And who doth more wrong than one who is reminded of the Signs of his Lord, but turns away from them, forgetting the (deeds) which his hands have sent forth? Verily We have set veils over their hearts lest they should understand this, and over their ears, deafness, if thou callest them to guidance, even then will they never accept guidance. PICKTHAL: And who doth greater wrong than he who hath been reminded of the revelations of his Lord, yet turneth away from them and forgetteth what his hands send forward (to the Judgment)? Lo! on their hearts We have placed coverings so that they understand not, and in their ears a deafness. And though thou call them to the guidance, in that case they can never be led aright. SHAKIR: And who is more unjust than he who is reminded of the communications of his Lord, then he turns away from them and forgets what his two hands have sent before? Surely We have placed veils over their hearts lest they should understand it and a heaviness in their ears; and if you call them to the guidance, they will not ever follow the right course in that case. YUSUFALI: But your Lord is Most forgiving, full of Mercy. If He were to call them (at once) to account for what they have earned, then surely He would have hastened their punishment: but they have their appointed time, beyond which they will find no refuge. PICKTHAL: Thy Lord is the Forgiver, Full of Mercy. If He took them to task (now) for what they earn, He would hasten on the doom for them; but theirs is an appointed term from which they will find no escape. SHAKIR: And your Lord is Forgiving, the Lord of Mercy; were He to punish them for what they earn, He would certainly have hastened the chastisement for them; but for them there is an appointed time from which they shall not find a refuge. YUSUFALI: Such were the populations we destroyed when they committed iniquities; but we fixed an appointed time for their destruction. PICKTHAL: And (all) those townships! We destroyed them when they did wrong, and We appointed a fixed time for their destruction. SHAKIR: And (as for) these towns, We destroyed them when they acted unjustly, and We have appointed a time for their destruction. YUSUFALI: Behold, Moses said to his attendant, "I will not give up until I reach the junction of the two seas or (until) I spend years and years in travel." PICKTHAL: And when Moses said unto his servant: I will not give up until I reach the point where the two rivers meet, though I march on for ages. SHAKIR: And when Musa said to his servant: I will not cease until I reach the junction of the two rivers or I will go on for years. YUSUFALI: But when they reached the Junction, they forgot (about) their Fish, which took its course through the sea (straight) as in a tunnel. PICKTHAL: And when they reached the point where the two met, they forgot their fish, and it took its way into the waters, being free. SHAKIR: So when they had reached the junction of the two (rivers) they forgot their fish, and it took its way into the sea, going away. YUSUFALI: When they had passed on (some distance), Moses said to his attendant: "Bring us our early meal; truly we have suffered much fatigue at this (stage of) our journey." PICKTHAL: And when they had gone further, he said unto his servant: Bring us our breakfast. Verily we have found fatigue in this our journey. SHAKIR: But when they had gone farther, he said to his servant: Bring to us our morning meal, certainly we have met with fatigue from this our journey. YUSUFALI: He replied: "Sawest thou (what happened) when we betook ourselves to the rock? I did indeed forget (about) the Fish: none but Satan made me forget to tell (you) about it: it took its course through the sea in a marvellous way!" PICKTHAL: He said: Didst thou see, when we took refuge on the rock, and I forgot the fish - and none but Satan caused me to forget to mention it - it took its way into the waters by a marvel. SHAKIR: He said: Did you see when we took refuge on the rock then I forgot the fish, and nothing made me forget to speak of it but the Shaitan, and it took its way into the river; what a wonder! YUSUFALI: Moses said: "That was what we were seeking after:" So they went back on their footsteps, following (the path they had come). PICKTHAL: He said: This is that which we have been seeking. So they retraced their steps again. SHAKIR: He said: This is what we sought for; so they returned retracing their footsteps. YUSUFALI: So they found one of Our servants, on whom We had bestowed Mercy from Ourselves and whom We had taught knowledge from Our own Presence. PICKTHAL: Then found they one of Our slaves, unto whom We had given mercy from Us, and had taught him knowledge from Our presence. SHAKIR: Then they found one from among Our servants whom We had granted mercy from Us and whom We had taught knowledge from Ourselves. YUSUFALI: Moses said to him: "May I follow thee, on the footing that thou teach me something of the (Higher) Truth which thou hast been taught?" PICKTHAL: Moses said unto him: May I follow thee, to the end that thou mayst teach me right conduct of that which thou hast been taught? SHAKIR: Musa said to him: Shall I follow you on condition that you should teach me right knowledge of what you have been taught? YUSUFALI: (The other) said: "Verily thou wilt not be able to have patience with me!" PICKTHAL: He said: Lo! thou canst not bear with me. YUSUFALI: "And how canst thou have patience about things about which thy understanding is not complete?" PICKTHAL: How canst thou bear with that whereof thou canst not compass any knowledge? SHAKIR: And how can you have patience in that of which you have not got a comprehensive knowledge? YUSUFALI: Moses said: "Thou wilt find me, if Allah so will, (truly) patient: nor shall I disobey thee in aught." PICKTHAL: He said: Allah willing, thou shalt find me patient and I shall not in aught gainsay thee. SHAKIR: He said: If Allah pleases, you will find me patient and I shall not disobey you in any matter. YUSUFALI: The other said: "If then thou wouldst follow me, ask me no questions about anything until I myself speak to thee concerning it." PICKTHAL: He said: Well, if thou go with me, ask me not concerning aught till I myself make mention of it unto thee. YUSUFALI: So they both proceeded: until, when they were in the boat, he scuttled it. Said Moses: "Hast thou scuttled it in order to drown those in it? Truly a strange thing hast thou done!" PICKTHAL: So they twain set out till, when they were in the ship, he made a hole therein. (Moses) said: Hast thou made a hole therein to drown the folk thereof? Thou verily hast done a dreadful thing. SHAKIR: So they went (their way) until when they embarked in the boat he made a hole in it. (Musa) said: Have you made a hole in it to drown its inmates? Certainly you have done a grievous thing. YUSUFALI: He answered: "Did I not tell thee that thou canst have no patience with me?" PICKTHAL: He said: Did I not tell thee that thou couldst not bear with me? SHAKIR: He said: Did I not say that you will not be able to have patience with me? YUSUFALI: Moses said: "Rebuke me not for forgetting, nor grieve me by raising difficulties in my case." PICKTHAL: (Moses) said: Be not wroth with me that I forgot, and be not hard upon me for my fault. SHAKIR: He said: Blame me not for what I forgot, and do not constrain me to a difficult thing in my affair. YUSUFALI: Then they proceeded: until, when they met a young man, he slew him. Moses said: "Hast thou slain an innocent person who had slain none? Truly a foul (unheard of) thing hast thou done!" PICKTHAL: So they twain journeyed on till, when they met a lad, he slew him. (Moses) said: What! Hast thou slain an innocent soul who hath slain no man? Verily thou hast done a horrid thing. SHAKIR: So they went on until, when they met a boy, he slew him. (Musa) said: Have you slain an innocent person otherwise than for manslaughter? Certainly you have done an evil thing. SHAKIR: He said: Did I not say to you that you will not be able to have patience with me? YUSUFALI: (Moses) said: "If ever I ask thee about anything after this, keep me not in thy company: then wouldst thou have received (full) excuse from my side." PICKTHAL: (Moses) said: If I ask thee after this concerning aught, keep not company with me. Thou hast received an excuse from me. SHAKIR: He said: If I ask you about anything after this, keep me not in your company; indeed you shall have (then) found an excuse in my case. YUSUFALI: Then they proceeded: until, when they came to the inhabitants of a town, they asked them for food, but they refused them hospitality. They found there a wall on the point of falling down, but he set it up straight. (Moses) said: "If thou hadst wished, surely thou couldst have exacted some recompense for it!" PICKTHAL: So they twain journeyed on till, when they came unto the folk of a certain township, they asked its folk for food, but they refused to make them guests. And they found therein a wall upon the point of falling into ruin, and he repaired it. (Moses) said: If thou hadst wished, thou couldst have taken payment for it. SHAKIR: So they went on until when they came to the people of a town, they asked them for food, but they refused to entertain them as guests. Then they found in it a wall which was on the point of falling, so he put it into a right state. (Musa) said: If you had pleased, you might certainly have taken a recompense for it. YUSUFALI: He answered: "This is the parting between me and thee: now will I tell thee the interpretation of (those things) over which thou wast unable to hold patience. PICKTHAL: He said: This is the parting between thee and me! I will announce unto thee the interpretation of that thou couldst not bear with patience. SHAKIR: He said: This shall be separation between me and you; now I will inform you of the significance of that with which you could not have patience. YUSUFALI: "As for the boat, it belonged to certain men in dire want: they plied on the water: I but wished to render it unserviceable, for there was after them a certain king who seized on every boat by force. PICKTHAL: As for the ship, it belonged to poor people working on the river, and I wished to mar it, for there was a king behind them who is taking every ship by force. SHAKIR: As for the boat, it belonged to (some) poor men who worked on the river and I wished that I should damage it, and there was behind them a king who seized every boat by force. YUSUFALI: "As for the youth, his parents were people of Faith, and we feared that he would grieve them by obstinate rebellion and ingratitude (to Allah and man). PICKTHAL: And as for the lad, his parents were believers and we feared lest he should oppress them by rebellion and disbelief. YUSUFALI: "So we desired that their Lord would give them in exchange (a son) better in purity (of conduct) and closer in affection. PICKTHAL: And we intended that their Lord should change him for them for one better in purity and nearer to mercy. SHAKIR: So we desired that their Lord might give them in his place one better than him in purity and nearer to having compassion. YUSUFALI: "As for the wall, it belonged to two youths, orphans, in the Town; there was, beneath it, a buried treasure, to which they were entitled: their father had been a righteous man: So thy Lord desired that they should attain their age of full strength and get out their treasure - a mercy (and favour) from thy Lord. I did it not of my own accord. Such is the interpretation of (those things) over which thou wast unable to hold patience." PICKTHAL: And as for the wall, it belonged to two orphan boys in the city, and there was beneath it a treasure belonging to them, and their father had been righteous, and thy Lord intended that they should come to their full strength and should bring forth their treasure as a mercy from their Lord; and I did it not upon my own command. Such is the interpretation of that wherewith thou couldst not bear. SHAKIR: And as for the wall, it belonged to two orphan boys in the city, and there was beneath it a treasure belonging to them, and their father was a righteous man; so your Lord desired that they should attain their maturity and take out their treasure, a mercy from your Lord, and I did not do it of my own accord. This is the significance of that with which you could not have patience. YUSUFALI: They ask thee concerning Zul-qarnain. Say, "I will rehearse to you something of his story." PICKTHAL: They will ask thee of Dhu'l-Qarneyn. Say: I shall recite unto you a remembrance of him. SHAKIR: And they ask you about Zulqarnain. Say: I will recite to you an account of him. YUSUFALI: Verily We established his power on earth, and We gave him the ways and the means to all ends. PICKTHAL: Lo! We made him strong in the land and gave him unto every thing a road. SHAKIR: Surely We established him in the land and granted him means of access to every thing. SHAKIR: So he followed a course. YUSUFALI: Until, when he reached the setting of the sun, he found it set in a spring of murky water: Near it he found a People: We said: "O Zul-qarnain! (thou hast authority,) either to punish them, or to treat them with kindness." PICKTHAL: Till, when he reached the setting-place of the sun, he found it setting in a muddy spring, and found a people thereabout. We said: O Dhu'l-Qarneyn! Either punish or show them kindness. YUSUFALI: He said: "Whoever doth wrong, him shall we punish; then shall he be sent back to his Lord; and He will punish him with a punishment unheard-of (before). PICKTHAL: He said: As for him who doeth wrong, we shall punish him, and then he will be brought back unto his Lord, Who will punish him with awful punishment! YUSUFALI: "But whoever believes, and works righteousness,- he shall have a goodly reward, and easy will be his task as We order it by our Command." PICKTHAL: But as for him who believeth and doeth right, good will be his reward, and We shall speak unto him a mild command. SHAKIR: And as for him who believes and does good, he shall have goodly reward, and We will speak to him an easy word of Our command. SHAKIR: Then he followed (another) course. YUSUFALI: Until, when he came to the rising of the sun, he found it rising on a people for whom We had provided no covering protection against the sun. PICKTHAL: Till, when he reached the rising-place of the sun, he found it rising on a people for whom We had appointed no shelter therefrom. YUSUFALI: (He left them) as they were: We completely understood what was before him. PICKTHAL: So (it was). And We knew all concerning him. SHAKIR: Even so! and We had a full knowledge of what he had. YUSUFALI: Until, when he reached (a tract) between two mountains, he found, beneath them, a people who scarcely understood a word. PICKTHAL: Till, when he came between the two mountains, he found upon their hither side a folk that scarce could understand a saying. SHAKIR: Until when he reached (a place) between the two mountains, he found on that side of them a people who could hardly understand a word. YUSUFALI: They said: "O Zul-qarnain! the Gog and Magog (People) do great mischief on earth: shall we then render thee tribute in order that thou mightest erect a barrier between us and them? PICKTHAL: They said: O Dhu'l-Qarneyn! Lo! Gog and Magog are spoiling the land. So may we pay thee tribute on condition that thou set a barrier between us and them? PICKTHAL: He said: That wherein my Lord hath established me is better (than your tribute). Do but help me with strength (of men), I will set between you and them a bank. YUSUFALI: "Bring me blocks of iron." At length, when he had filled up the space between the two steep mountain-sides, He said, "Blow (with your bellows)" Then, when he had made it (red) as fire, he said: "Bring me, that I may pour over it, molten lead." PICKTHAL: Give me pieces of iron - till, when he had levelled up (the gap) between the cliffs, he said: Blow! - till, when he had made it a fire, he said: Bring me molten copper to pour thereon. YUSUFALI: Thus were they made powerless to scale it or to dig through it. PICKTHAL: And (Gog and Magog) were not able to surmount, nor could they pierce (it). SHAKIR: So they were not able to scale it nor could they make a hole in it. YUSUFALI: He said: "This is a mercy from my Lord: But when the promise of my Lord comes to pass, He will make it into dust; and the promise of my Lord is true." PICKTHAL: He said: This is a mercy from my Lord; but when the promise of my Lord cometh to pass, He will lay it low, for the promise of my Lord is true. SHAKIR: He said: This is a mercy from my Lord, but when the promise of my Lord comes to pass He will make it level with the ground, and the promise of my Lord is ever true. YUSUFALI: On that day We shall leave them to surge like waves on one another: the trumpet will be blown, and We shall collect them all together. PICKTHAL: And on that day we shall let some of them surge against others, and the Trumpet will be blown. Then We shall gather them together in one gathering. SHAKIR: And We will bring forth hell, exposed to view, on that day before the unbelievers. YUSUFALI: (Unbelievers) whose eyes had been under a veil from remembrance of Me, and who had been unable even to hear. PICKTHAL: Those whose eyes were hoodwinked from My reminder, and who could not bear to hear. SHAKIR: They whose eyes were under a cover from My reminder and they could not even hear. YUSUFALI: Do the Unbelievers think that they can take My servants as protectors besides Me? Verily We have prepared Hell for the Unbelievers for (their) entertainment. PICKTHAL: Do the disbelievers reckon that they can choose My bondmen as protecting friends beside Me? Lo! We have prepared hell as a welcome for the disbelievers. SHAKIR: What! do then those who disbelieve think that they can take My servants to be guardians besides Me? Surely We have prepared hell for the entertainment of the unbelievers. PICKTHAL: Say: Shall We inform you who will be the greatest losers by their works? SHAKIR: Say: Shall We inform you of the greatest losers in (their) deeds? YUSUFALI: "Those whose efforts have been wasted in this life, while they thought that they were acquiring good by their works?" PICKTHAL: Those whose effort goeth astray in the life of the world, and yet they reckon that they do good work. SHAKIR: (These are) they whose labor is lost in this world's life and they think that they are well versed in skill of the work of hands. YUSUFALI: They are those who deny the Signs of their Lord and the fact of their having to meet Him (in the Hereafter): vain will be their works, nor shall We, on the Day of Judgment, give them any weight. PICKTHAL: Those are they who disbelieve in the revelations of their Lord and in the meeting with Him. Therefor their works are vain, and on the Day of Resurrection We assign no weight to them. SHAKIR: These are they who disbelieve in the communications of their Lord and His meeting, so their deeds become null, and therefore We will not set up a balance for them on the day of resurrection. YUSUFALI: That is their reward, Hell, because they rejected Faith, and took My Signs and My Messengers by way of jest. PICKTHAL: That is their reward: hell, because they disbelieved, and made a jest of Our revelations and Our messengers. SHAKIR: Thus it is that their recompense is hell, because they disbelieved and held My communications and My messengers in mockery. YUSUFALI: Wherein they shall dwell (for aye): no change will they wish for from them. PICKTHAL: Wherein they will abide, with no desire to be removed from thence. SHAKIR: Abiding therein; they shall not desire removal from them. YUSUFALI: Say: "If the ocean were ink (wherewith to write out) the words of my Lord, sooner would the ocean be exhausted than would the words of my Lord, even if we added another ocean like it, for its aid." PICKTHAL: Say: Though the sea became ink for the Words of my Lord, verily the sea would be used up before the words of my Lord were exhausted, even though We brought the like thereof to help. YUSUFALI: Say: "I am but a man like yourselves, (but) the inspiration has come to me, that your Allah is one Allah: whoever expects to meet his Lord, let him work righteousness, and, in the worship of his Lord, admit no one as partner. PICKTHAL: Say: I am only a mortal like you. My Lord inspireth in me that your Allah is only One Allah. And whoever hopeth for the meeting with his Lord, let him do righteous work, and make none sharer of the worship due unto his Lord. SHAKIR: Say: I am only a mortal like you; it is revealed to me that your god is one Allah, therefore whoever hopes to meet his Lord, he should do good deeds, and not join any one in the service of his Lord.